Are you ready to Finish First? Start a Rewarding Career at Bradford! Everything we do at Bradford School is so you can Finish First. Programs take less than two years, so graduation rates are high. Classes are smaller and focus on the skills employers need, so your learning can be relevant. Proactive job placement assistance is offered to graduates, so you have help finding a good job. Find out more about how we help students Finish First through our student resources, career focused programs, and career placement. 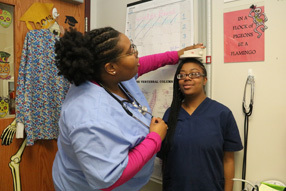 Conveniently located in Columbus, Bradford School offers career-focused programs in health care and culinary arts. Our classrooms simulate the work place and are designed for hands on learning. Come visit us and see for yourself! Where do you want to go in life? Bradford School in Columbus, Ohio can help you choose the right path and Finish First. Check out our new video! 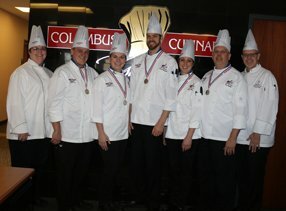 Congratulations to the Hot Food Team for winning the State of Ohio Competition for the 6th year in a row! 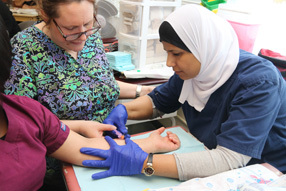 Medical Assisting students practice a variety of skills hands-on! 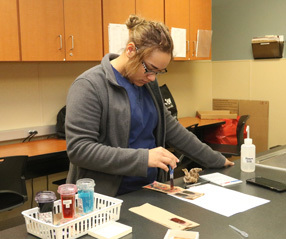 One of our Vet Tech students working on staining a blood smear! 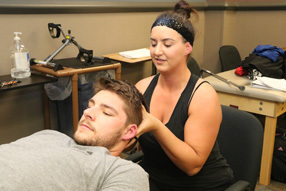 Physical Therapist Assistant students practicing range of motion skills! Medical Assisting studentspracticing intradermal injections to administer tests for TB! Did you know one of the most common sports injuries involves the hamstring? Our PTA students spend time practicing therapeutic hamstring stretches! Dental Assisting is coming to Bradford! 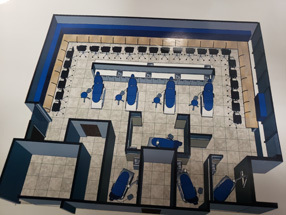 Check out a rendering of our new clinic, we can't wait to show you the finished product! 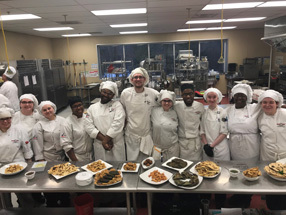 Culinary students in Global Cuisine cooked up some amazing Indian dishes including paratha, poori, naan, pakora, samosas and chutneys!